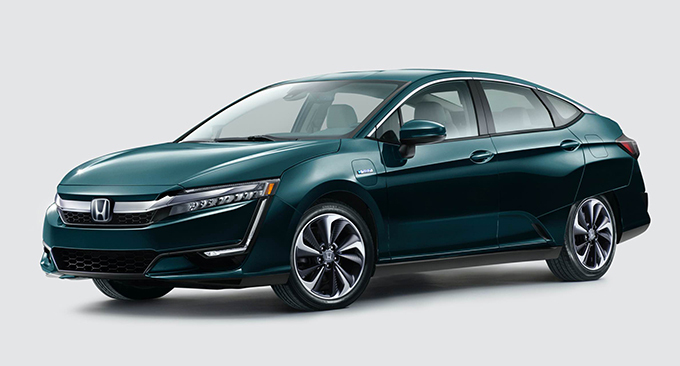 Honda has just revealed its all-new Clarity Plug-in Hybrid and Clarity Electric alongside the already available Clarity Fuel Cell, saying it will target U.S. sales of 75,000 Clarity vehicles in the first four model years. 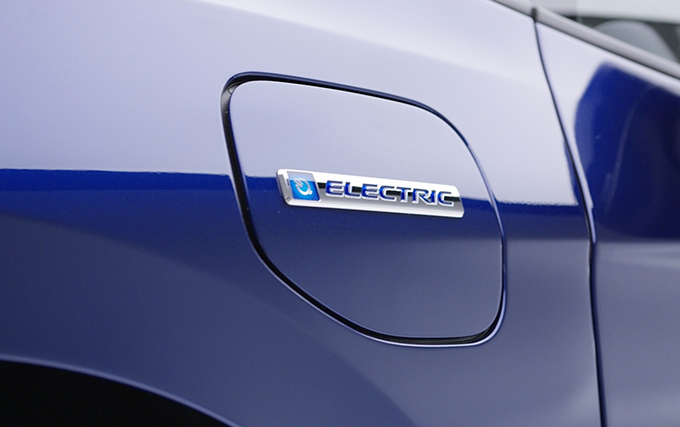 The Clarity series will contribute to an anticipated five-fold increase in Honda’s U.S. sales of electrified vehicles over the next four years as the company works toward its target that two-thirds of its global automobile sales will come from electrified vehicles by 2030. “Electrification is the future of mobility and the future of Honda, and it all starts now with this new Clarity series,” added Steve Center, vice president of the Connected and Environmental Business Development Office at American Honda. 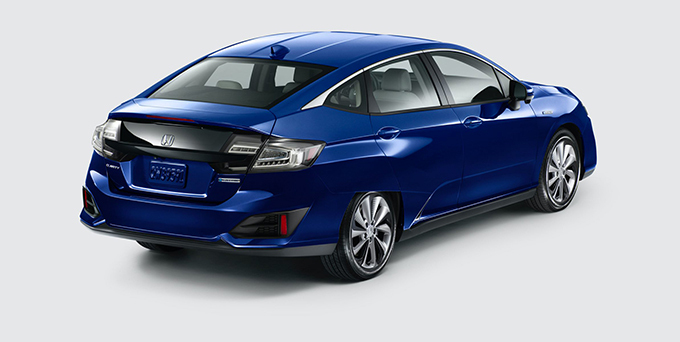 As the next progression of Honda’s dynamic styling for electrified products, each Clarity variant has a low, wide aerodynamic body with unique design elements, including its own special hero colour, and differentiated front styling, headlights, tail lamps and 18-inch alloy wheel designs. Combined with elegant and advanced exterior styling, each Clarity series vehicle has a spacious interior with comfortable seating for five adults, outfitted with premium, environmentally responsible materials. Offering Honda’s “fun-to-drive” DNA, each Clarity variant provides a smooth, quiet and highly refined driving experience, aided by the smooth and seamless character of electric drive torque and acceleration. 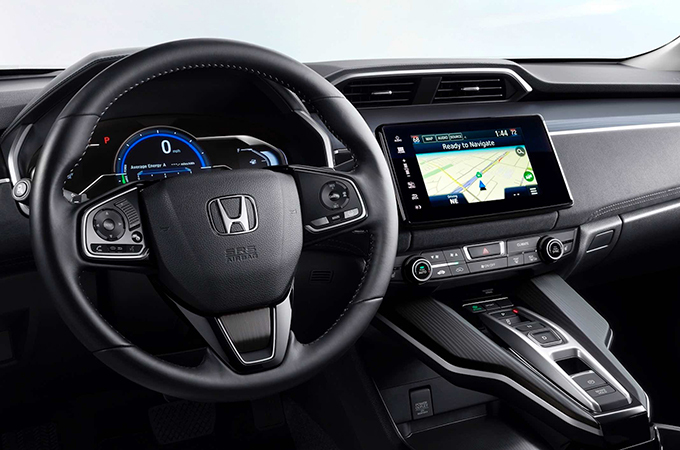 The Clarity series also features advanced technologies, including Display Audio with Android Auto™ and Apple CarPlay™, and the full suite of HONDA SENSING™ safety and driver-assistive technologies. With three different powertrains and luxury packaging, the Clarity series has wide appeal. This shared “3-in-1” platform strategy will enable Honda to respond to infrastructure and market developments, provide customers nationwide with an ultra-low carbon vehicle that meets their lifestyle needs, and takes Honda toward higher volume sales of advanced powertrain products that will help reduce CO2 emissions. 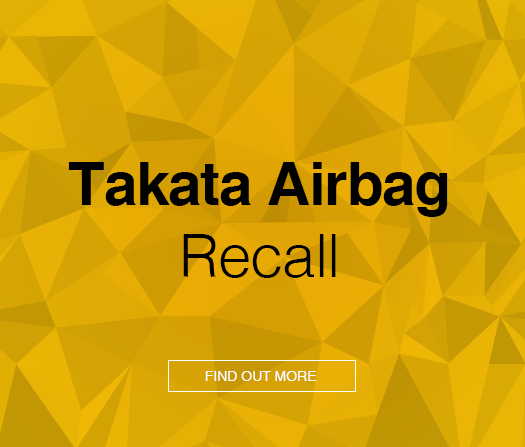 The Clarity series is at the vanguard of Honda’s commitment to address society’s energy and environmental concerns as the company expects significant growth in sales of efficient, lower CO2 electrified vehicles. Honda has previously announced plans to introduce a dedicated new hybrid car to the U.S. market in 2018. The new Honda hybrid car will be made in America.